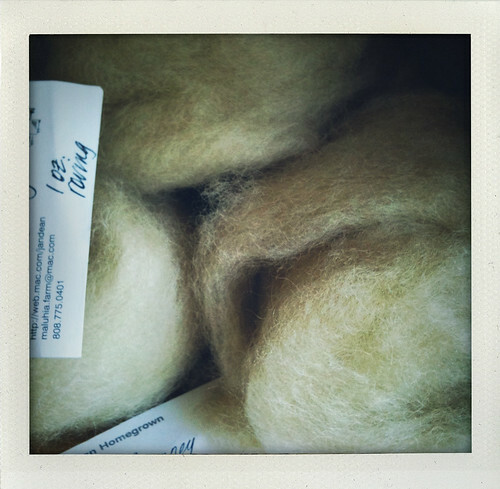 I spent a recent weekend on Kaua'i and did a little yarn shopping while I was there. First stop was Hanalei Strings & Things, a little shop in the Ching Young Village Shopping Center in the middle of downtown Hanalei. It's a very touristy area with lots of shops and restaurants, and parking can be a little challenging during lunchtime on a weekend. 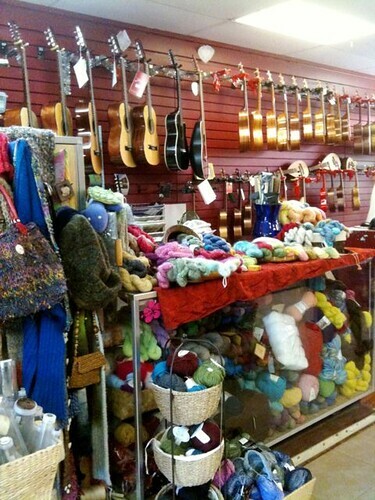 Strings & Things combines yarn and ukuleles - Amy Singer would plotz. My visit was brief. 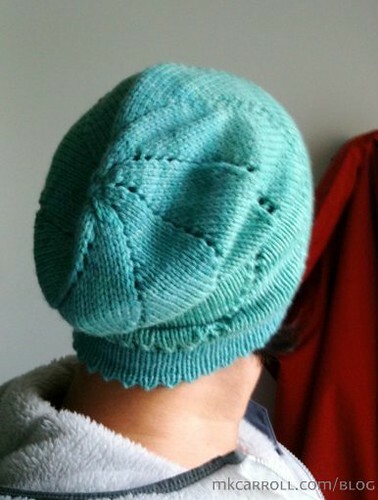 You may have had a similar experience while vacationing with someone who is not into yarn? "Do you want to eat lunch first?" 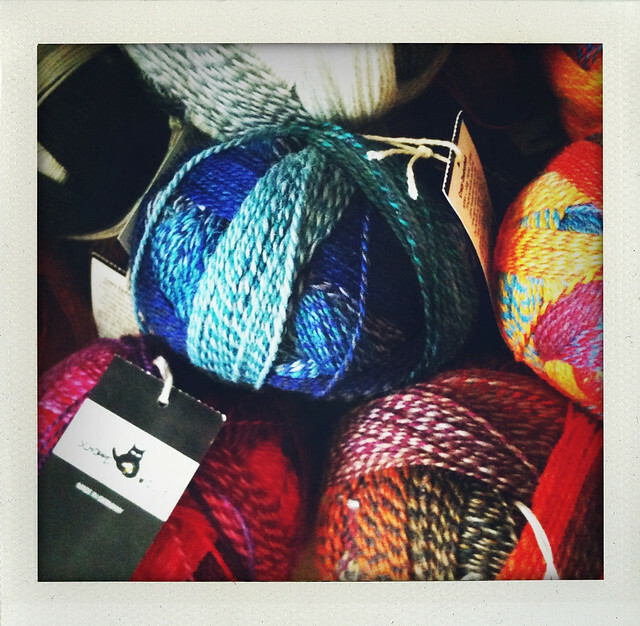 "No, you can do your yarn shopping first" - and then about 1o minutes later, it is clear that the person not into yarn is about to fall over from a combination of boredom and low blood sugar (I finished up my browsing, bought two skeins of Kauai Botanicals hand-dyed sock yarn, and we went across the street to Bubba's Burgers. By the way, Bubba's does old-fashioned burgers that remind me of In 'N Out). 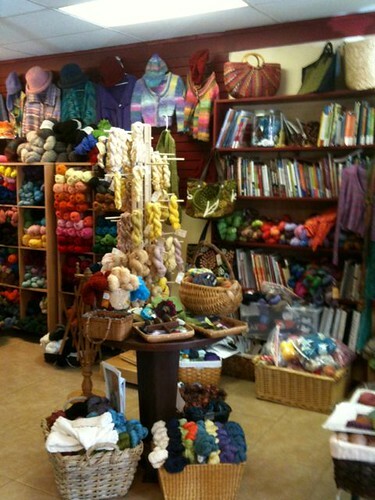 I did note that they have a pretty substantial inventory for a small space - lots of high-end yarns, some novelty yarns, books, patterns, needles, hooks, notions, and a cozy corner to sit and stitch at. Prices - like pretty much everything on Kaua'i - tend to be high. I'm sure the owner has heard plenty enough complaining about that - and it's an issue that they likely can't do anything about (welcome to the flip side of "life in paradise"). 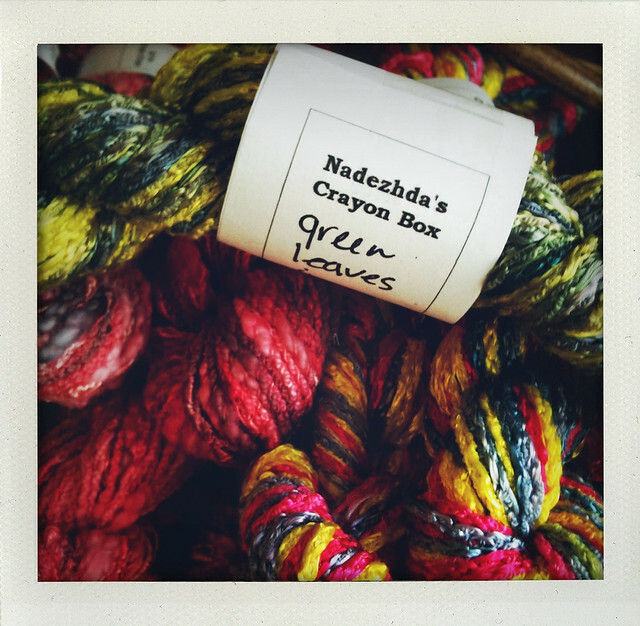 The Kauai Botanicals hand-dyed yarns were nice to see - there's a demand for souvenir yarn but not much available. 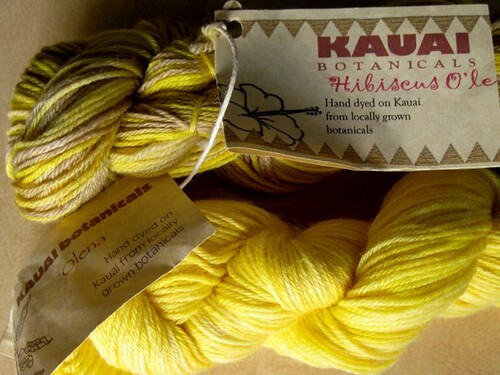 These are yarns dyed with hibiscus, 'olena (turmeric), and red dirt (which Kaua'i is famous for). 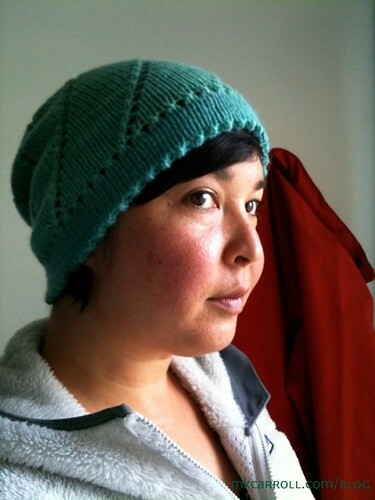 Various weights and fibers are available, and there was a lovely sample of a drop-stitch knit scarf done with pinky-mauve hibiscus-dyed ribbon yarn. 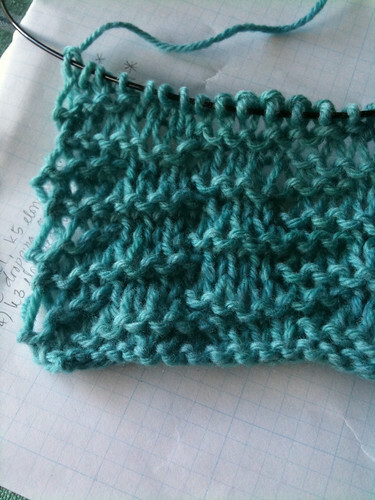 I chose wool/bamboo blend sock yarn, one dyed with 'olena and one dyed with 'olena and hibiscus. 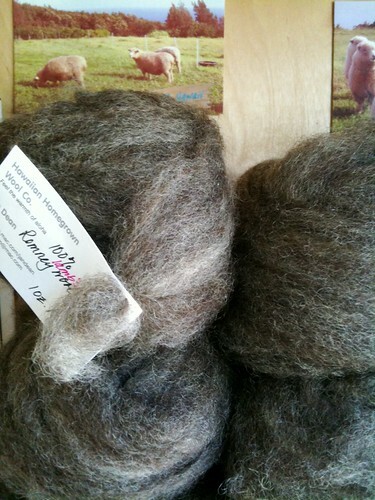 To the best of my knowledge, this yarn is available only at Hanalei Strings & Things. 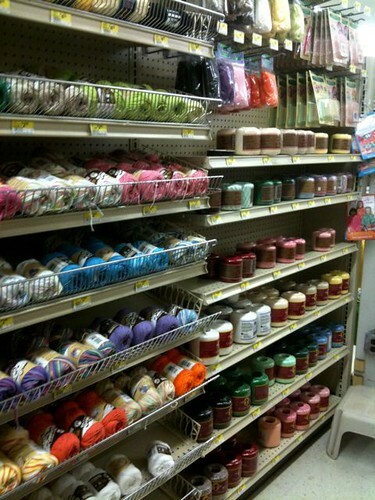 Later in the week, we stopped by Ace Hardware & Crafts. 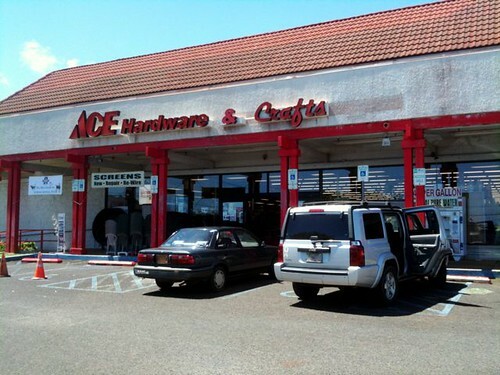 Yes, a combination hardware and craft store! 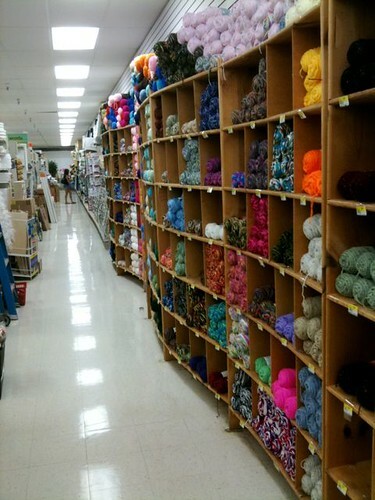 Half of the store is your typical Ace Hardware, and the other half is your typical Ben Franklin Crafts store. 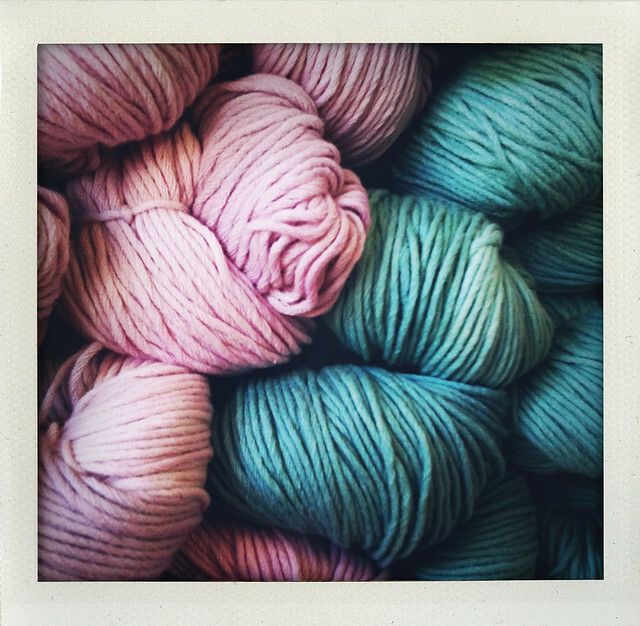 There are yarns for making crochet leis with as well as a lot of Red Heart, a selection of crochet threads, Lily Sugar & Cream kitchen cotton, and Cascade 220. 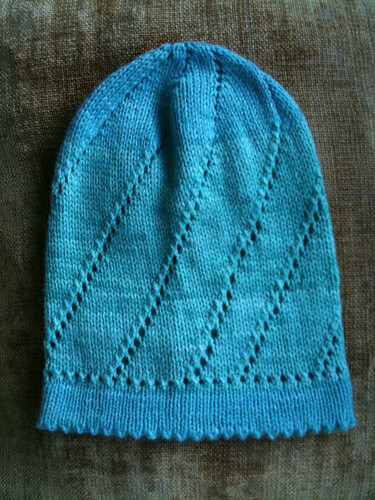 Needles, hooks, and notions too. 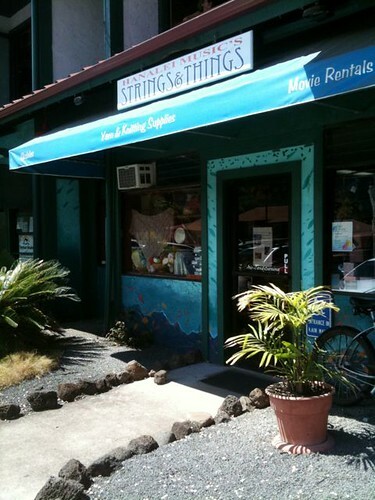 This store is located in a more industrial part of Lihue, so not a lot in the immediate area for other attractions. 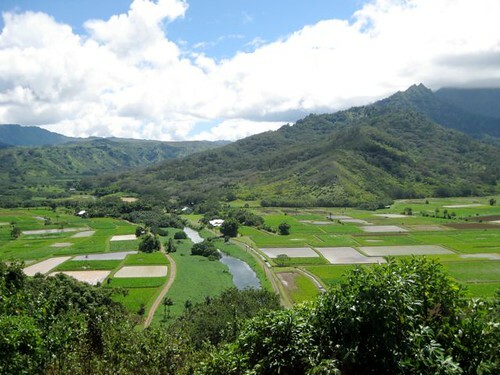 Lihue is small, though, so it's a short drive to the beach and other businesses.